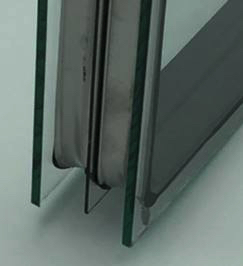 High performance venting windows are becoming an increasingly important but ever more complex part of window and door manufacturing. One of the more unique workshops at FenCon19 will burrow into some of the finer details of both “euro style” inward opening versus North American style outward venting windows. Clearly, the greater awareness of Passiv house technology has also exposed builders and increased awareness of tilt/urn windows. However, a limited number of North American window and door manufacturers have extensive knowledge of these products, how they are created, how they function, how they are marketed or even how they are serviced after sale. Stephan Nies, product expert with Siegena hardware, will present the benefits of tilt n turn windows and doors. Stephan’s presentation – backed by his local partner FENTRO based in Manitoba – will considerable detail down to the process of preparing for and installing this specialized hardware, albeit very popular in main-land Europe, especially Germany. Stephan’s workshop presentation – featuring product and hardware samples – will alsoinclude all kind of safety aspects for homeowners and tenants. 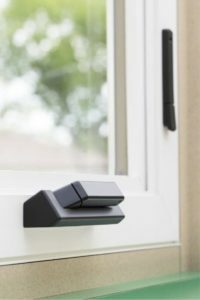 Additionally, the Siegena hardware feature will showcase these windows operation when combined with electronic comfort features to create the right room and personal comfort. Whether your interest is a more “traditional” North American product OR an interest in learning about the unique benefits of Tilt N Turn windows and doors, we think this work shop should prove to be highly informative. Our goal is to truly engage your thought process on the full range of considerations – from market considerations to design to manufacturing to marketing to after sales service. In or out, the reality is that the market for a combination of high performance product (low U value, low air infiltration) is continuing to grow. This is an excellent opportunity to gain both some unique Insights into these options as well as to discuss these options with these industry experts. Furthermore, this conference very uniquely builds an environment where that type of engagement with window manufacturers from various parts of the continent is encouraged! FenCon19 is ALL about delivering valuable knowledge in the manufacturing process of creating superior windows and doors. We can only deliver by tapping into talent and experience and AquaSurTech’s Maria Jasminez certainly brings a huge amount of both. By a stroke of good luck, Maria has in fact spent a solid 23 years working within the door manufacturing industry while the past 4 years have held a focus on putting the finish on door panels. “It surprises some of our best customers to find that getting into the process of finishing door panels is much easier than expected,” says Maria, “We have also seen some of those door manufacturers move VERY quickly once they realize the benefits.” AquaSurTechhas been supplying water base for 25 years and has more expanded their capabilities with a one-two combination of an automated door panel painting system – the LH1100 (capable of painting one side in 4 minutes, as well as the Flamepro automatic preparation machine. Maria has seen demand for both systems take-off as she was able to complete multiple installations of each system in the past year.The FenCon19 workshop on fiberglass door panel finishing will see Maria discuss a number of different topics. 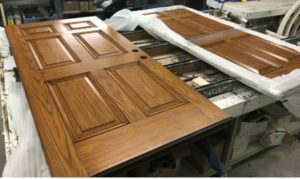 The amazing range of wood grain Fiberglass door panels – with quite a mix of cherry, vertical grain and oak – has challenged the “finishing industry” to develop ever better capabilities to really bring out the details. “Its part art and part science and my workshop will be an excellent classroom session where you’ll get some tips on how to complete the most amazing works of art,” says Maria. And, that’s on top of some extra insights into the rebounding interest in smooth skin fiberglass door panels, a response to the market which has an on-going demand for clean, contemporary details including flush glaze door panels. 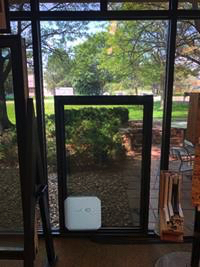 High performance venting windows are becoming an increasingly important but ever more complex part of window and door manufacturing. One of the more unique w orkshops at www.FenCon19.com will burrow into some of the finer details of both “euro style” inward opening versus North American style outward venting windows. Clearly, the greater aware ness of Passiv house technology has also exposed builders and increased awareness of Tilt N Turn windows. However, a limited number of North American window and door manufacturers have extensive knowledge of these products, how they are created, how they function, how they are marketed or even how they are serviced after sale. 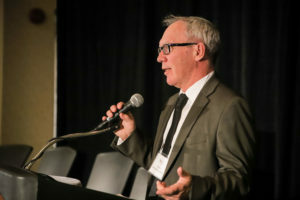 “Our competitiveness demands we exploit Lean because it is the foundation for the advanced manufacturing technology to come.” – David Hogg, ATJ Insights, FenCon19 presenter. FenCon 19 has developed a short but intense window and door manufacturing conference that is even more focused on Lean (Continuous Improvement) with even more highly qualified and knowledgeable/experienced speakers. Let’s just take a quick look at some of the highlights in what a driven manufacturing expert will encounter. 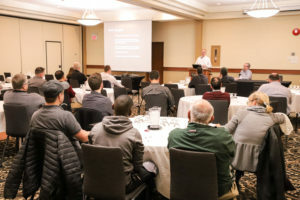 Fenestration Manitoba has been spearheading the development of a short but intense manufacturing-focused conference very centrally located in a North American context and in a very cost-effective location, format and context. Each of the first two years included a three-stream day of one-hour sessions with lots of focus on manufacturing, automation, continuous improvement (or Kaizen) as well as a few additional topics such as materials and finishes. Each year also featured a keynote speaker with a focus on the future and how it will impact our manufacturing activities. Each initial year also resulted in a very positive rating from sponsors, exhibitors and attendees. FenCon 19 intensifies those primary elements with a few additional features and components. Oct. 22, 2018 – Glen Hodgson has 36 years of experience in global and Canadian macro-economics, international trade analysis and finance, fiscal and tax policy, and other “big picture” topics. 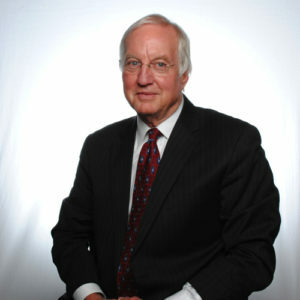 Glen’s career has spanned the International Monetary Fund (IMF) in Washington D.C., the federal Department of Finance, Export Development Canada (EDC), and the Conference Board of Canada, where he was Senior Vice-President and Chief Economist for twelve years. He recently joined International Financial Consulting Ltd. as a Senior Associate, and the C.D. Howe Institute as a Senior Fellow. 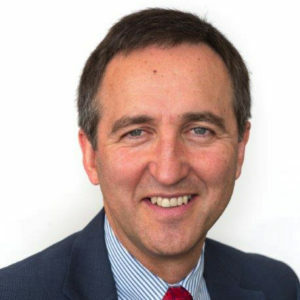 He has travelled the world and Canada as an economic analyst and public speaker, financial negotiator, and advisor to governments, businesses and international organizations. *Book by February 12, 2019 to take advantage of this special room rate. *The Delta Hotel is connected to the RBC Winnipeg Convention Centre by a walkway. Room Rate – $154.00 CAD per night. Use this online link to book your FenCon19 hotel room by February 12, 2019. Or call The Delta Hotel toll free number and speak to their Central Reservations department at 1-844-294-7309. Tell them you are booking under the Fenestration Manitoba room block. The website for FenCon19, coming March 6 and 7 to the RBC Convention Centre in Winnipeg, is live with online registration available. 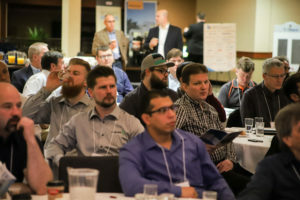 The event hosted by Fenestration Manitoba welcomes window and door fabricators from across country for superior education and networking opportunities. Read the full article here.